Der Überdruck Leckanzeiger Europress warnt vor Leckagen in Behältern. 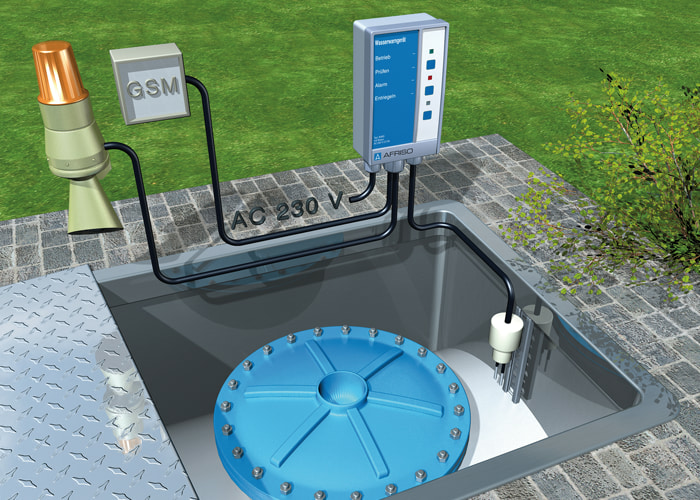 Pressure type leak detector according to EN 13160 (class I) for safe monitoring of double-walled tanks for the unpressurised storage of water-polluting liquids, AdBlue® (urea solution 32.5 %). The flexible voltage supply (AC 100–240 V) allows for application in a large variety of countries. Compact leak detector in a robust wall mounting housing with audible and visual alarms. The audible alarm can be muted with the Acknowledge button. Europress indicates the pump operating time and features a switching output for additional equipment (such as additional alarm unit ZAG 01) or integration into building control systems. The pump operating time can be displayed. Three hose connections (red, white, green) for the pneumatic connection to the interstitial space of the tank. The universal connection pieces can be used for 4 mm and 6 mm hoses. With condensate trap to protect the electronics. Electrical connection from the top or from the bottom. An optional 9 V battery can be connected so that an alarm is triggered in the case of power outage. For outdoor applications, Europress is available in a protective housing (IP 55). Alarm units with the EnOcean-ready label can be integrated into your existing building automation systems at a later point in time. To do so, plug the EnOcean® wireless module into the EnOcean® interface (PCB of the device). 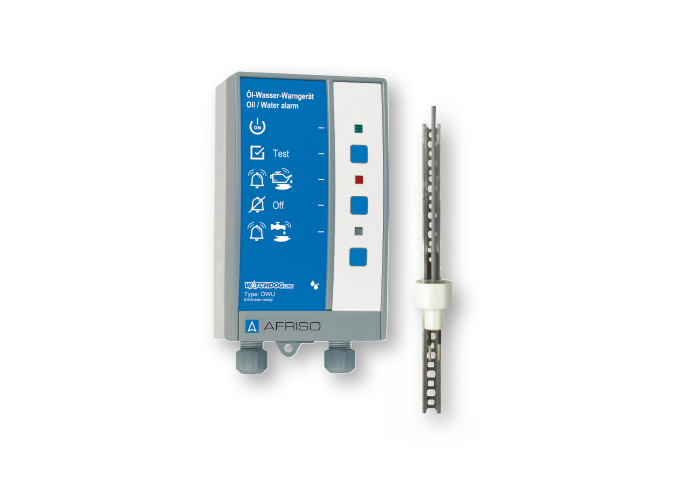 The AFRISO gateway in conjunction with additional AFRISO products with EnOcean® wireless technology allow you to configure a whole range of fully customisable, extensible features for the protection of plants and buildings.